I have seen Christopher before, last year and enjoyed, so wanted to see him again. I go and see a wide range of groups and music and not been disappointed. I can go and see a group more than once. Songwriter Christopher Cross made history with his 1980 self-titled debut album, winning five Grammy Awards, including-for the first time ever-the four most prestigious awards: Record of the Year (for the single “Sailing”), Album of the Year, Song of the Year (also for “Sailing”), and Best New Artist. Now, 30+ years after his extraordinary emergence into the music business, Cross continues his recording and performing career with a new album, Take Me As I Am, that evokes the artistry of such great singer-songwriters as Joni Mitchell and Randy Newman while addressing contemporary concerns head-on - a combination which is sure to please his loyal fan base. Join him for his Take Me As I Am tour in support of his sensational fifteenth studio album which takes him to Bath Forum and Cliffs Pavilion at Southend On Sea in October. Then De La Warr Pavilion at Bexhill on Sea, London Palladium, Liverpool Philharmonic, Birmingham Town Hall and RNCM Theatre in Manchester during November 2019. 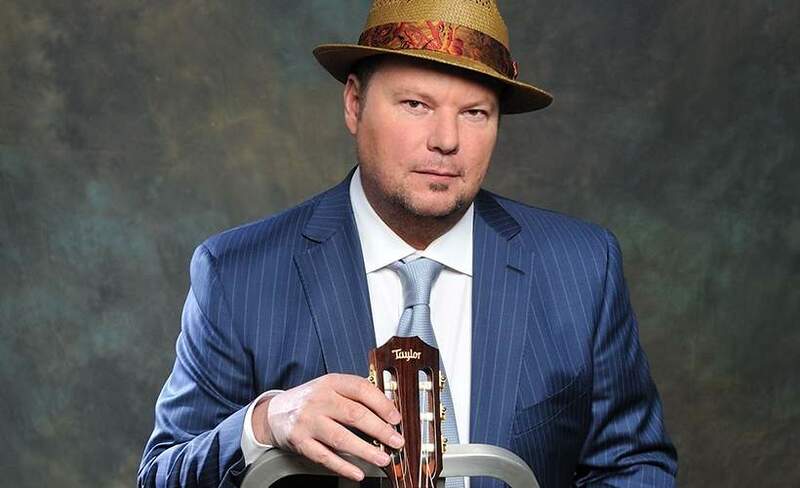 As the word spreads, the demand for Christopher Cross tickets grows so we really urge you to make sure you book yours early to avoid disappointment! Placing an order is made easy with Gigantic as you can access our easy-to-use site 24/7 with a computer, tablet or smartphone whilst busy on the go or from the comfort of your own home. "Take Me As I Am" is a unique offering from Christopher Cross, a hybrid of sorts - the songs are instrumentals with choruses to create the lyrical landscape. This is not quite a “guitar” album, but it leaves the listener with no question about his expertise on the subject. Two very special songs are “Roberta," dedicated to Christopher’s mentor, Joni Mitchell, and “Truth” with a lyric by Rob Meurer, one of the last songs Rob wrote before his tragic passing. This song is sung as a duet with Gigi Worth, a name that will be familiar to Christopher’s fans. Gigi and Rob were also very close, which makes her performance on this track all the more meaningful. The album closes with a song in memory of Rob called "Alvah," (Rob’s middle name), which features beautiful string arrangements by Chris Walden. The excitement continues to build and we expect Christopher Cross concert tickets to sell very fast. Plus, with only limited amounts being put on sale by the event organisers, you will have to act quickly and place your booking before they all go. If you have any questions, then contact our dedicated customer service team who can assist with every question when selecting from our huge range of essential gig tickets. Remember, award winning ticket vendor Gigantic is the very best place to come to make a stress-free booking before enjoying your big night out.